The Mouse Connection: Good things are happening! WI-FI-nally - All Disney resorts now have wifi available in guest rooms and most public spaces including pools and lobbies. Finally. 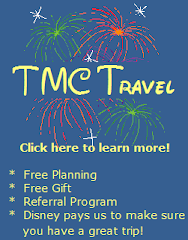 I have taken some flack on some message boards for criticizing Disney for not having Wifi available in the resorts. (Perhaps it had something to do with me asking if there was indoor plumbing and if the toilets flushed - I was feeling unusually snarky that day.) Yes, it is a vacation and some people like/want/need to unplug. However, sometimes you just have to keep in touch with your real life, even at Disney World....not to mention that wifi is often involved with how people spend their leisure time. I always felt that it was a bit incongruous that they did not have wifi long ago, for a company that is often on the leading edge of technology, this took awhile. But it is done, so good for you Disney! The Fridges are coming! The Fridges are coming! - Value resort guests are getting an extra perk in the form of refrigerators included in the room. Formerly, Disney charged an additional $10 for the night to have a refrigerator in the room. The cynic in me wonders if they just got tired of playing Frigidaire Shuffle. What ever the reason, it is a meaningful upgrade to a lot of families! Improved Channel Lineup - While I don't go to Disney with the goal of sitting in front of the television, it is certainly nice to have something to do when the kiddos fall asleep. So now you can visit Mickey and not miss out on what ever crazy stuff the Real Housewives are into. Story Book Circus - The first section of the Fantasyland expansion is open. The newly re-themed Barnstormer is open (same track, new look) as well as half of the "Dueling Dumbo", complete with a cool water feature. The new train station is open as well. The reviews and photos look great. I am excited to see what more is in store for the former footprint of Toon Town. Technically, the area is in a "soft opening" stage, meaning that it can open and close on a whim. I will be hitting the park Thursday and this area will be my first stop! Kim is out and Perry is in! - The Kim Possible Missions at Epcot will be getting a face lift this summer. Kim is out and Perry is in, or should I say Agent P is in! The Kim Possible Wold Showcase Adventure is a very well done attraction. It is a great use of technology and is a perfect distraction for the kids while Mom and Dad enjoy the World Showcase. The only problem? Who is Kim Possible? It was a bit surprising that Disney chose the less than popular franchise to begin with. Phineas and Ferb seem to be growing in popularity, and Perry is a big hit in our household. We are excited to see what Agent P has in store! The Fantasy - Disney's newest ship has its inaugural sailing at the end of the month. I am excited to be going on a preview cruise later this week. 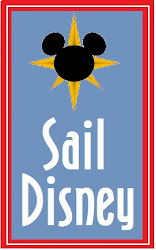 Stay tuned for more information, or even better hop on over to Sail Disney and enter their very first GIVEAWAY! Free Dining on the Way?? ?